In addition to driving multiple species to extinction, including the Sumatran orangutan, elephant, and tiger, all of which are critically endangered, as well the endangered Bornean orangutans and pygmy elephants, the massive deforestation of rain forest to convert it to palm oil crops is contributing significantly to climate change. We are literally killing ourselves along with them. Excellent article. Thank you for posting it. I am sharing it and I hope others will too. Heart of Darkness was the right title for this piece… Apocalypse Now! This is an excellent article on the impact of palm oil production on our world. In addition to driving multiple species to extinction, including the Sumatran orangutan, elephant, and tiger, all of which are critically endangered, as well the endangered Bornean orangutans and pygmy elephants, the massive deforestation of rain forest to convert it to palm oil crops is contributing significantly to climate change. We are literally killing ourselves along with them. Thank you for sharing Erika! In this new social media driven world of hash tags and headlines, people don’t want to take the time to read anything. They want to “like” or “share,” or argue indignantly over issues they don’t really understand. Folks just want to be for or against stuff. Well it’s not that simple. This article offers great insight to a complex conservation problem. Yes, sometimes shouting at people isn’t a good way to initiate positive change. Sometimes it’s necessary to really understand the nuances of a problem in order to determine the best course of action (such as supporting sustainable palm oil instead of just boycotting it). To do this, we often have to be willing to work with the people whom we think are responsible for the problems we want to fix. Very educational and a lot to process. As I go through my household products I find it in everything!!! How crazy! I will make a change and let my friends know. Hopefully we can affect the palm oil industry financially. It doesn’t appear it will not be easy, but nothing good comes from the easy route. Thanks! People are often overwhelmed by the ideas of extinction and climate change, they want to know what they can do to help. Start with one thing, avoid palm oil! This world will be a sadder and much less wondrous place without the wild. 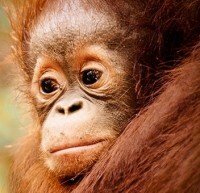 Many people don’t know about the affects palm oil has on wildlife. Even larger a lot of people don’t know that orangutans, tigers, and rhinos are critically endangered. If you have no clue, how can you care? We must educate and create awareness. Ps palm oil is bad for you and makes you fat! This is such an excellent article….everyone should share this information. I was so surprised when I share this situation with people….they don’t have a clue this is happening. I personally find it devastating to realize the children of the future may never have the chance to try and save these amazing animals….as it is a real possibility…they will be gone forever! Read the labels!!! You can not only help these amazing animals, you can help your own health. Palm oil is bad for you! Tragic!!! How can people just stand by and watch this happen. In just the amount of time a persons spends on social media each day, they could write many emails to these companies using palm oil and do their part to try and bring awareness! Everyone please share this and take the time to make a difference for these amazing animals!!! This is a great bit of info. I had no idea that this Palm oil problem was such a big deal. I will check my groceries. Very grateful to Rare Species Fund for their ongoing dedication to educating the public in regards to the plight of wild animals as well as their financial support of so many species across the globe. and the animal kingdom only to preserve history for generations to come. I completely agree with this article. RSF does not subscribe to first world arrogance, nor ideologic “solutions” that lack step by step pragmatism. We fully support the work of the Roundtable for Sustainable Palm Oil (RSPO), and Certified Sustainable Palm Oil (CSPO).